In order to support the industries that are bringing high-tech and modern jobs to North Carolina, the workforce increasingly needs to be well educated and skilled to compete for these jobs. Both industry recruitment and expansion opportunities make clear that providing a ready workforce means training workers and students differently than the state has traditionally – from high school and beyond through both universities and the state’s comprehensive Community College System. The Golden LEAF Foundation was an early supporter providing resources and funding needed to help prepare North Carolinians for current and future opportunities. The Foundation’s Board of Directors created a special initiative supporting targeted occupational and technical training programs to prepare students for identified employment opportunities in advanced manufacturing and other high-wage technical occupations. 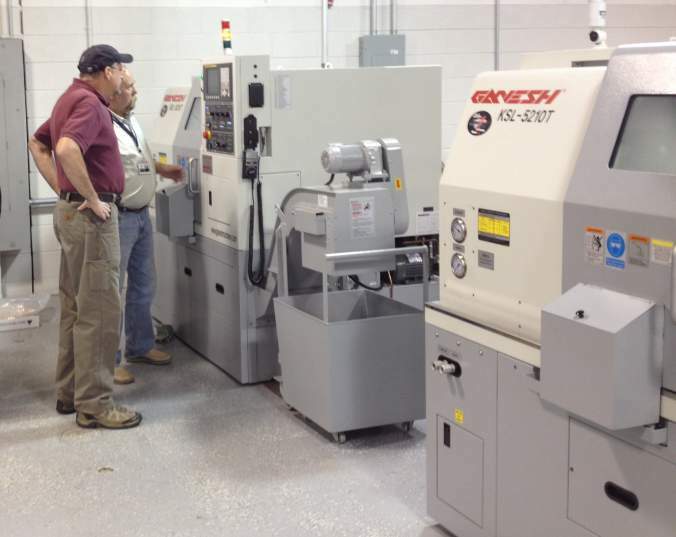 One advanced manufacturing investment was a 2012 $716,932.64 grant to Forsyth Tech Community College to purchase a new machining center with state-of-the-art technology. This new machine program and training allowed the college to become the first program in the country certified in this specific type of advanced technology. Forsyth Tech, also a leader for a national initiative funded by the Gates Foundation to develop uniform curricula and skill requirements through industry certification standards, used the funding to upgrade its program and train local students. The investment resulted in almost 500 students trained and 200 jobs.